Robert W. Woodruff Foundation: Will Atlanta's Quiet Changemaker Adapt to 21st Century Opportunities? Atlanta's largest and most popular foundation, the Robert W. Woodruff Foundation is an independent private foundation established by the former Coca-Cola president. The foundation has had tremendous positive impact on the city's physical landscape, and can do more to strengthen its social fabric. Atlanta is changing, and for Woodruff the real question is whether they're changing with it. What are they doing to bring groups together to solve pressing issues? How are they incorporating the voices of diverse community members? 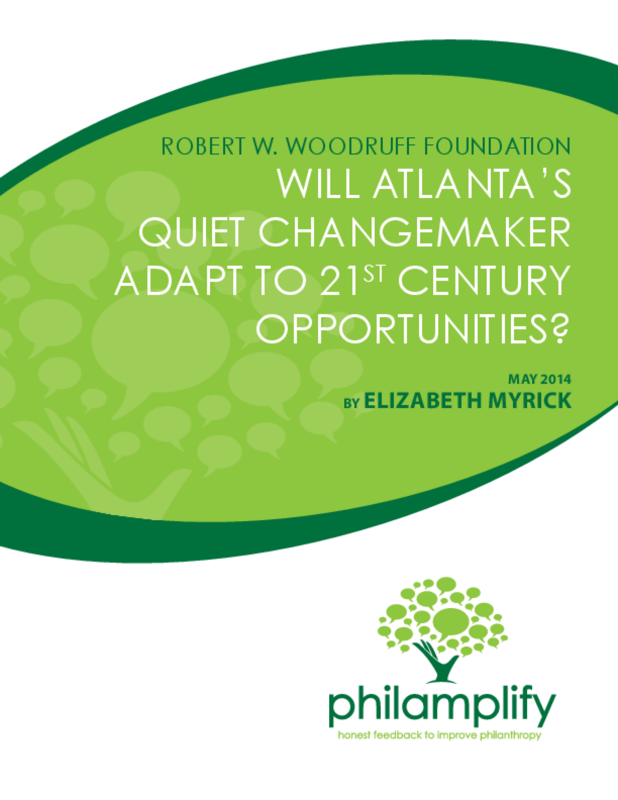 Title: Robert W. Woodruff Foundation: Will Atlanta's Quiet Changemaker Adapt to 21st Century Opportunities?